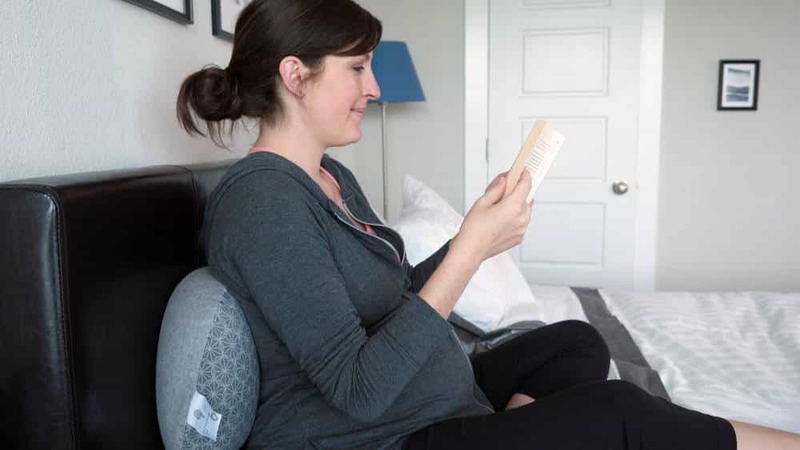 Don’t let the size of the Babymoov Mom & b ergonomic maternity pillow fool you. 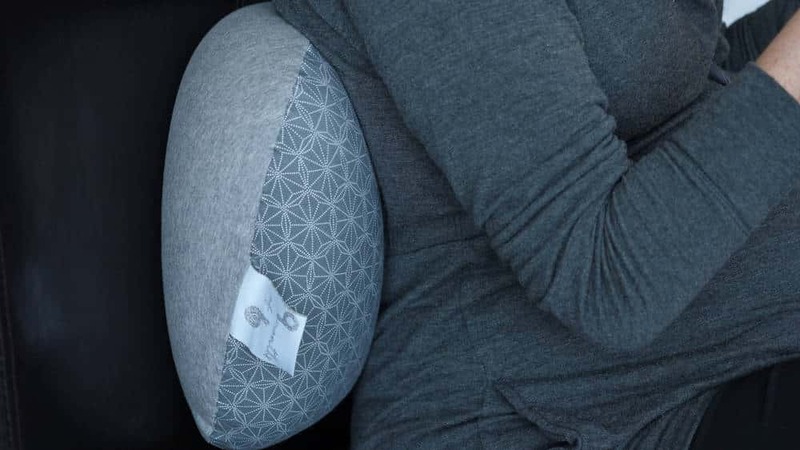 This lightweight and compact pillow is filled with microbeads and knows just how to support a pregnant woman when she’s on the go (or napping!). The pillow has a removable cover that you can wash as well. So, what moms-to-be need this pillow? Read on for my full review. The Mom & b pillow has a unique and compact design. Its dimensions are 11.5″ x 23.5″ x 4.75″, and it’s filled with microbeads that give it a travel-pillow-like feel. The cover is removable. It’s a soft mix of cotton and elastane, so it has a little stretch to it. There should be a zipper at one end of the pillow that allows you to open the cover and remove it for washing. I got a note in my case that said the company had to remove the zipper for safety reasons. The brand recommended using a safety pin to open the cover. I used a bobby pin and it worked fine, but it is an additional step. The Mom & b ergonomic pregnancy pillow is made by Babymoov. The company started overseas in 1998 and launched in the U.S. in 2014. 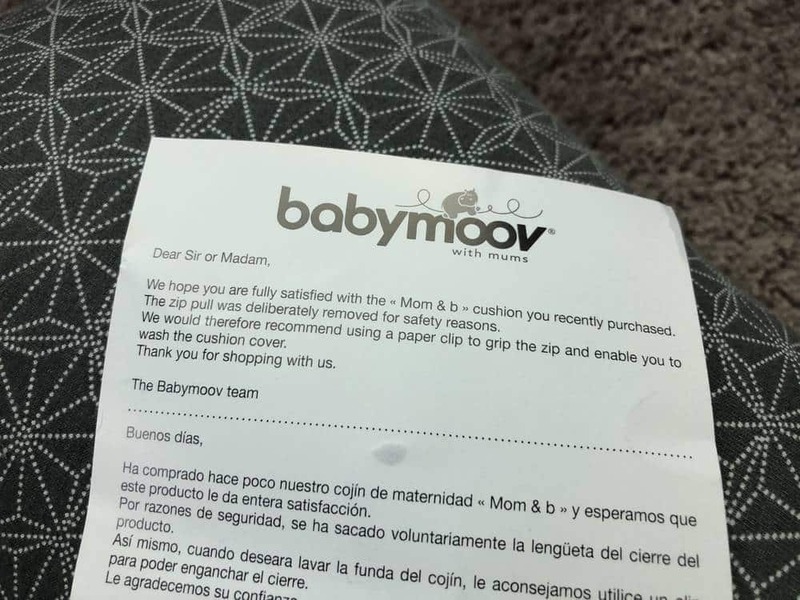 Babymoov offers products for mothers-to-be in the form of pregnancy sleep support items and pillows. Their baby products are more diverse and include everything from diaper bags to activity gyms. The pillow’s filling is spot-clean only (based on what I could tell from the packaging), but the cover is removable and machine washable. It’s not advised that you dry the cover since it can shrink, but you can leave it out to air-dry or use a no-heat dryer cycle. 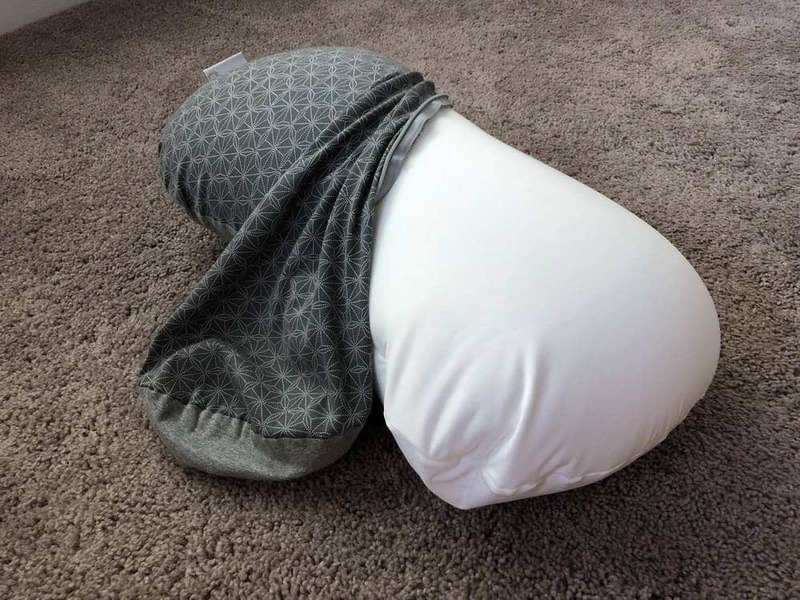 The Mom & b pregnancy pillow from Babymoov is a great pillow for the traveling mom-to-be or any pregnant person who needs a little extra support from time to time. I used this pillow as a lower back support in my office chair and between my knees at night when I slept on my side. Thanks to its microbead filling, this pillow really feels like a travel pillow to me (and not in a bad way). It has a really nice firmer level of support than what I usually get with a polyester-filled pillow. I found it comparable in firmness to a denser foam. With the help of a bobby pin or safety pin, the cover is easy enough to unzip and remove. It’s also very simple to wash it on a delicate cycle and air-dry it or use a no-heat cycle so the cover doesn’t shrink. And if you need to, you can purchase an additional cover by itself as well. The cover options are all modern in their design and have a nice sleek look. I found myself grabbing this pillow and using it pretty much all the time in the second part of my pregnancy. Any time I took a quick nap, I would throw it between my knees to help keep my hips aligned. I think it even works as a neck or head support if you find yourself in need of a pillow. Although my little guy isn’t here yet, I think I can probably use it to prop him up for nursing and/or bottle feeding and to keep me comfortable postpartum as well. I really like this simple ergonomic pregnancy pillow from Babymoov. It’s easy to take with you if you’re a mom-on-the-go who needs a little extra support. And it can easily be used after the baby comes, which adds to its value. Because it’s available at various retailers, this keeps the price competitive. Expect to pay around $40 for the pillow. The cover is removable, but if your zipper has been taken off like mine, grab a bobby pin or a safety pin to unzip and remove the cover so you can wash it before use.